I have xml file. And I remove 8 lines and add 2 lines. 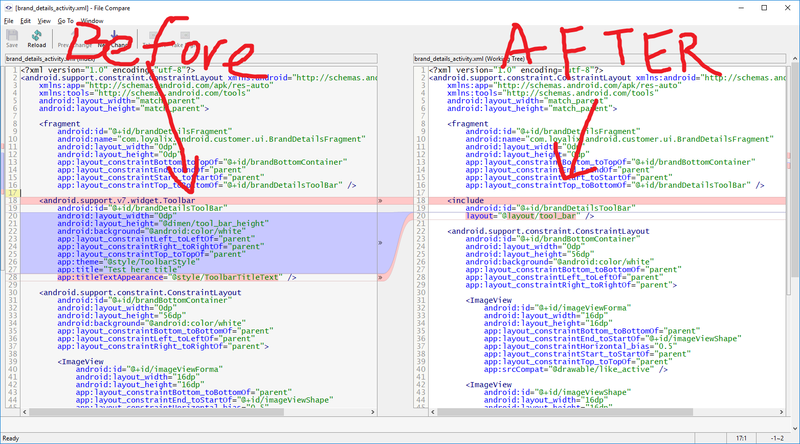 As you can see it's very simple to understand the state of file: before change and after change. It's very convenient. As you can see all changes are in ONE buffer. It's not very convenient. The question is: Is it possible to show change in 2 buffers? 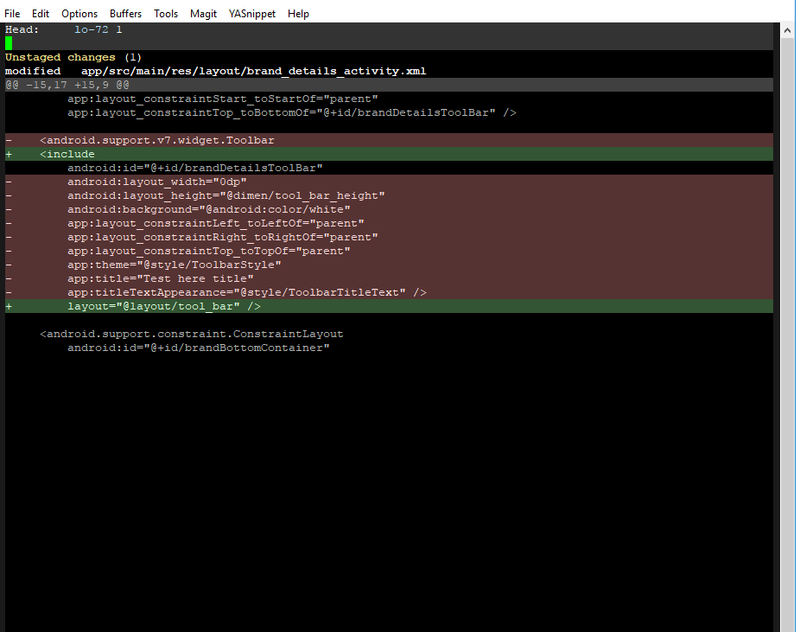 One buffer to show content of file before change and another buffer to show file after change. Like in SmartGit. Magit does not support showing two versions of a file in two separate buffers and marking the areas that changed between the two buffers/versions. However it does support Ediff, which does support that (it is its primary purpose). Press e on a change in Magit to enter Ediff. You can use Ediff to show you the two versions of the file side-by-side. Press e when your cursor is on the line of the file you want to view. Not the answer you're looking for? Browse other questions tagged magit or ask your own question. How to show word diffs in Magit? Magit: Is it possible to edit text directly in “Unstaged changes”?